The ongoing competition and the challenging economical situation are driving companies to find new ways to improve profitability. Cutting costs is often an inevitable part of this process, and translation and localization functions get their share of the savings targets. When international communication is crucial to the business and eliminating all the translation work isn’t an option, companies search for methods to translate more cheaply. This is why many businesses have turned to machine translation. The adaptation or experiments of using automated translation have moved forward step-by-step. The first step was to try free tools like Google Translate resulting too low quality and some interest of developing the potentially good idea. Then it was time to build or customize own machine translation system which was revealed as a laborious job requiring some knowledge on different languages and technologies. The next step seems to be focusing on the source material. When translating texts, the quality of the input defines the quality of the output. This applies to both human and machine translation. By paying attention to the language that is used in the original material, companies can optimize both translation quality and costs. Thus companies think that language standardization is at least worth trying. With language standardization, companies define the limits to the source text. 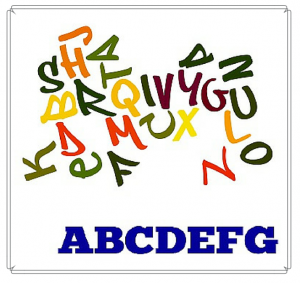 In most cases, standardization means cutting down the number of words that can be used. This is why standardized language is often shorter, more coherent and simpler than ‘natural’ language. Language standardization is closely related to terminology work. Both are parts of good customer service. The difference is that while terminology concentrates more on defining specific terms for separate items and concepts, standardization applies to all aspects of the text. Using standard terminology and glossary may sound boring because synonyms enrich the language and rich language enables playing with tones and styles creatively. However, the quality and the understandability of the material improve when the used language is controlled and thought beforehand. For companies this means more coherent communication through all the different materials they produce. A unified image never harms a brand, and if it brings savings at the same time it’s like a double gain. Improve your localization projects. Localize faster with Multilizer Localization Tool. Automatic validations make sure that the project proceeds smoothly. Learn more & test for free. Outstanding translation blog and the language standardization concept. I think machine translation is low cost but not as accurate as human translation. Thanks for the valuable post.